With all the changes to algorithms on Instagram, Facebook Pages and even Youtube, one place that you can guarantee to increase engagement with your audience is over on Instagram stories. I’m not saying you have to declare your relationship status with stories, but commit to a week’s challenge of publishing to stories. People often ask me how I have time to do it, the more I have done them the more they become second nature to me. It’s like anything, practise makes perfect. 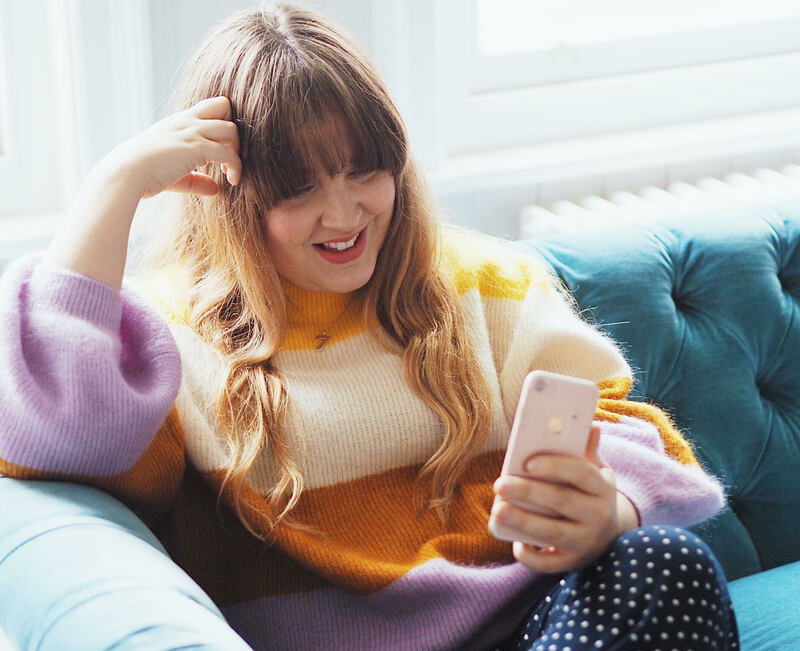 Don’t worry if you don’t know what you are doing to begin with - that’s the beauty of stories, they only last for 24 hours (if you want them to, I love love love the new 'Highlighted' stories feature for your profile). You can see what works, what you like, what gets replies and create more of that content over time. Don’t worry about how many people are watching your stories in the bottom left hand corner Instagram shares with you how many people are viewing them. Yes, it might be that you are the most boring thing to happen to the internet, but it also, and more likely, will be because someone’s boss walked in, the doorbell rang, their child needed them, their bus arrived, their lunch date arrived. In short their are a hundred different reasons that someone might start watching your stories but not finish them. And if it turns out you are boring that particular viewer, then you’re not for them and that’s ok. Do the story content that you like, otherwise you’ll quickly lose interest. Use the features, such as polls and consider doing an Instagram Live to interact with your audience. Encourage them to ask questions, share their thoughts and send you direct messages, it really is at the heart of creating a community. This might sound obvious, but your story needs to make sense. Decide if you want to document part of your day. You may want to create exclusive content for stories educating your audience on ways to wear things, quick recipes, how you produce things or tours around your favourite places. Whatever you do, don’t upload one story and forget about it, make it make sense and have a purpose. Your voice doesn’t sound like nails on a chalk board I PROMISE. This is the only way that you are going to start feeling comfortable with yourself on here. You don’t have to be in every story, but intersperse your stories with direct into the camera talking. Also sometimes you don’t always make sense, well I don’t anyway. Playing them back helps you understand what your audience sees. If you’re super stuck for ideas for stories content, think about what you like watching and go from there. I’m interested to see what new features Instagram brings to stories, and how brands work with people on paid for content within them. Through sharing my love of shopping, my followers and I have invented a new hashtag called #BettyMadeDoIt, it’s like going shopping with thousands of your closest friends. Charlotte Jacklin is the creative force behind Betty Magazine.